Differently-abled Kerala woman gets a shot at driving license test. After running from pillar to post, Jilumol Mariet Thomas moved the Kerala high court, which directed the regional transport officer in Idukki district’s Thodupuzha to accept her application for learner’s licence. She will finally get her learner’s certificate next week. The resounding ovation of visually impared students sent a message across the frontiers that a mentor needs a will to spearhead despite impairment. The roaring applause left everyone awestruck as their teacher Maya Rani (51) visually impaired teacher was honoured at the Vocational Rehabilitation and Training Centre (VRTC) on Teacher’s Day. 22 year Hina Rathi just cleared her preliminary exams for the Union Public Service Commission (UPSC). Hina is 100% blind, but has ensured that her disability is never a hindrance in her path towards success! Clearing the prelims of the UPSC exams can be a herculean task to many. Hina’s story is all about hard-work, determination and passion to chase her dreams. Amidst cheer and celebration, 40 blind students were felicitated. 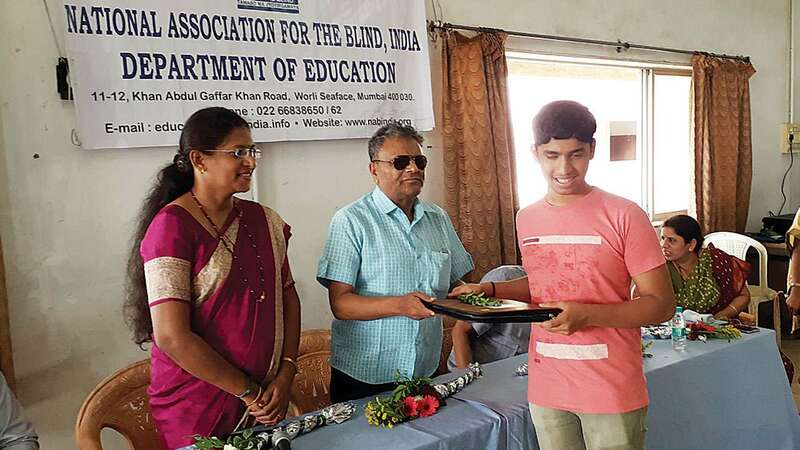 Parents and friends clapped for them and were in tears when 40 successful students were felicitated at National Association for the Blind (NAB), Worli. KUALA LUMPUR: Have you ever wondered what a colourful work of art looks like to a visually impaired person? For blind craftsman Omar Ali, his disability is a constant reminder that life is beautiful in spite of a person’s hardships and struggles. Even though he doesn’t see them, the spectrum of colours has changed his life for the better. Omar, 52, raises a family of seven by making colourful rattan tudung saji, or food covers, at his home in Ulu Melaka, Langkawi.